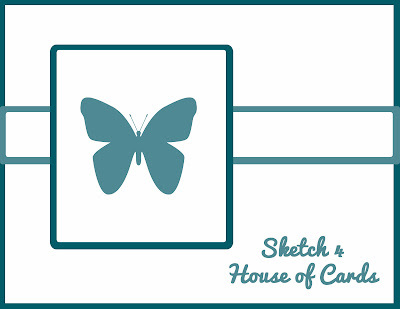 It's time for a new challenge here at House of Cards! We've got a fabulous one for you this week and we cannot wait to see what you've got in store for us! Head over to the blog and checkout what our talented DT girls have in store for you! What a cute card! How many design teams are you on!!? LOL. Such a busy little beaver aren't you? :-). You are awesome you know, right? Well, as a duck, I love all my feathered friends lol! 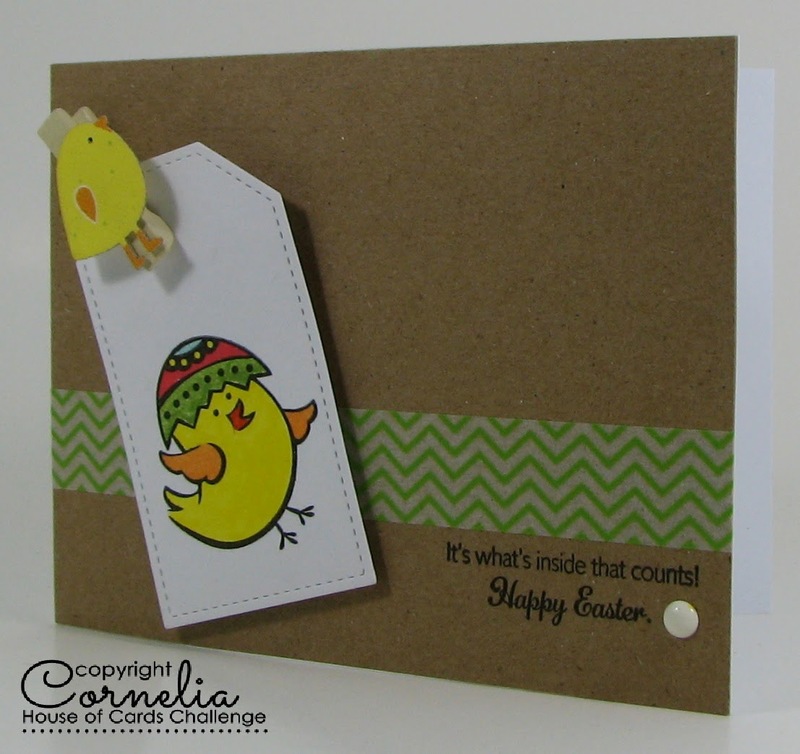 Adorable card Cornelia. . . . .you are the Queen of CAS! Too cute for words and fun too! Love that little chick and the one on top too! Ich finde dein Kärtchen total niedlich. Das Küken mit der Eierschale auf dem Kopf ist zu süß!